The curse of knowledge is a cognitive bias that afflicts experts; experts such as yourself. By definition, you know things that your audience doesn’t. You can easily confuse people by jumping ahead too quickly. I do it all all the time, and it’s really hard to avoid, as you are stuck in your own head. In your role as a speaker, you are also a teacher. The best speakers manage to mitigate the curse of knowledge, and take their audience on a journey that reveals that knowledge, rather than just charging into the details. It is very hard to overcome this bias. You can be an engaging speaker, give an engaging performance, and still lose your audience because you’ve confused them. You’ve made too many assumptions about the subject matter. The audience feels bad, because you’ve made them feel stupid. One technique that I keep going back to is to use a core concept to relate all the pieces of knowledge together. This solves the big problem of teaching - how do you organize and structure the material? When organising the material you have to make a judgement call about what your audience will understand, and how much they already know. That’s why it’s important to ask event organizers what sort of audience you’ll be speaking to. The core concept approach is easy once you have the core concept defined. You take each topic and relate it back to the core. You can even get away with a relaxed topic sequence. You won’t rely on the ordering of topics so much. Topics don’t need to build on each other, each grows out from the core. This won’t work in all cases, so be careful not to use the core concept approach when you do need to build later topics on earlier ones. There’s a catch. There’s always a catch. Finding the core concept is often half the work. I’ve spent many afternoon in hotel rooms, pacing up and down, with no slides written, for a talk that evening, and no way to bring the material together. You need a concept, a theme, that will give you enough space and depth to provide fluid movement into your topics. This movement needs to be naturalistic, not forced. When it works, topics flow from the core concept. When it does not work, your talk becomes fragmented and the audience can feel the mismatches. Where do you find the concept that works? Procrastination! I’m very serious. The core concept does not have to be something in your subject domain. It can be completely different. A moral stance. A common scenario. A period of history. An entire film. The one good idea in an airport business book. Anything could work, but to find it, you have to expose yourself to many different ideas, people, and viewpoints. You’re going to procrastinate anyway, so use your brain to make the connections between random aspects of human culture, and the abstract technical concepts you want to communicate. A special thanks and shout out to Tammy, Cora and Saorla for helping to make this newsletter even better! While this is a spoken word performance, professionally produced and filmed, it is still a great example of the power of structuring your talk with a single core concept. In this case, the conceit of the courtroom drama is used to personify the modern education system. Conceptually, modern education is on trial, accused of failing to nurture human potential. Prince Ea’s delivery is to die for. But that is not the lesson here. The lesson is that he can focus on delivery because the single theme, the core concept of the courtroom trial, is a deep well to draw metaphors from. He can frame his idea, which is complex and abstract, using the concrete and tangible courtroom space and characters. We all know this frame of reference. It is familiar territory. Prince Ea has less explaining to do - he uses the courtroom to show us his ideas. Find a powerful source of metaphor, and your arguments will all hang from the same conceptual core. Uppstart is an informal and relaxed conference in a castle in Sweden for anyone interested in the European technology startup scene. Learn and have fun while listening to world class, speakers, meeting startups, investors and press. And best of all: it’s free! And did I mention the castle? The castle is cool. This conference focuses on the needs of software architects, helping them to understand the tradeoffs, technology options, and engineering practices that are critical to the long term success of companies. You can expect a fast pace and practical training in design, development, and deployment. The venue is just around the corner from Paddington station, which means you can get the Heathrow Express train if you’re flying into Heathrow - trust me, this is the easy option if you’re visiting London and you can expense it. Dreamforce is a beast of a conference, taking up the entirety of downtown San Francisco for the better part of a week. There are high profile keynotes speakers, such as Michelle Obama, and more than 2,700 sessions. Attending this type of conference is all about planning, planning, planning. And one more tip - bring your food, otherwise you’ll waste time queueing. Energy bars work for me. U.S. President John F. Kennedy gave this speech in Berlin in 1963. He was assassinated later that year. Although a great deal of preparation went into the speech, Kennedy, clearly fed by the energy of the crowd, gave a far stronger speech than had been intended politically. The speech uses rhetorical repetition very effectively, not only with the famous “Ich bin ein Berliner” line, with which Kennedy closes the speech, but also by repeating “Let them come to Berlin” many times in the opening. Kennedy uses the divided city of Berlin as his core conceptual metaphor. This speech was given two years after the wall dividing the city had been constructed. The Berlin wall was a clear metaphor for the freedom of the West, compared to the lack of freedom in the East, in Kennedy’s mind. He uses this clear metaphor to drive the message of the entire speech. It is so memorable because it is so easy to picture. The existence of the wall makes the point for Kennedy. If you can find something as strongly demonstrative of your point, do not be afraid to use it again, and again, as Kennedy did. Picking a central concept to build your talk can be difficult. 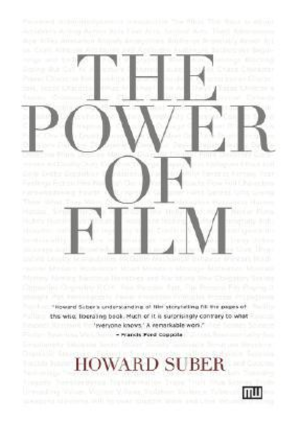 This book helps you find inspiration in the world of film. Film shares with speaking the quality of being a real-time communication with your audience. Film is very deliberate about its power to manipulate your conscious experience. You do the same thing to your audience when you give a talk. The book is organized alphabetically as several hundred one-page topics. For example: Completion and Return is the technique of starting and finishing a film with the same scene, now colored by the story of the characters in the film. In the same way, you can start and end your presentation with the same concept, perhaps even the same slide, except that you have now colored in the empty spaces for your audience with the content of your talk. Your audience experiences the deep psychological satisfaction of returning to the start, and completing the circle of an idea. This book is full of ideas like this, and is a life-saver if you are stuck for inspiration for a new talk. This is a very long, very comprehensive guide to speaking at tech conferences. Even if you already speak at conferences, there’s stuff here you haven’t thought of. I found this post very useful in the early days, and it’s still a standout piece of work.